Rap has been around for nearly 50 years, and the genre has gone through many different changes and sub-genres throughout this time. It has become increasingly mainstream in the past 20 or so years, and while some of the more popular songs can seem repetitive, there are luckily a few artists that constantly redefine what it can be applied to and sound like. Originally, the genre was a way for African-Americans to reach mainstream audiences and discuss many of the obstacles the community faced. Since then, it has become about more than simply going to the club with heavy bass and repetitive instrumentals. Today, artists like jpegmafia, Death Grips, Danny Brown and clipping. are pushing the definition of the genre to its absolute limits, and no other album stands out among these as true art like clipping.’s Splendor & Misery. 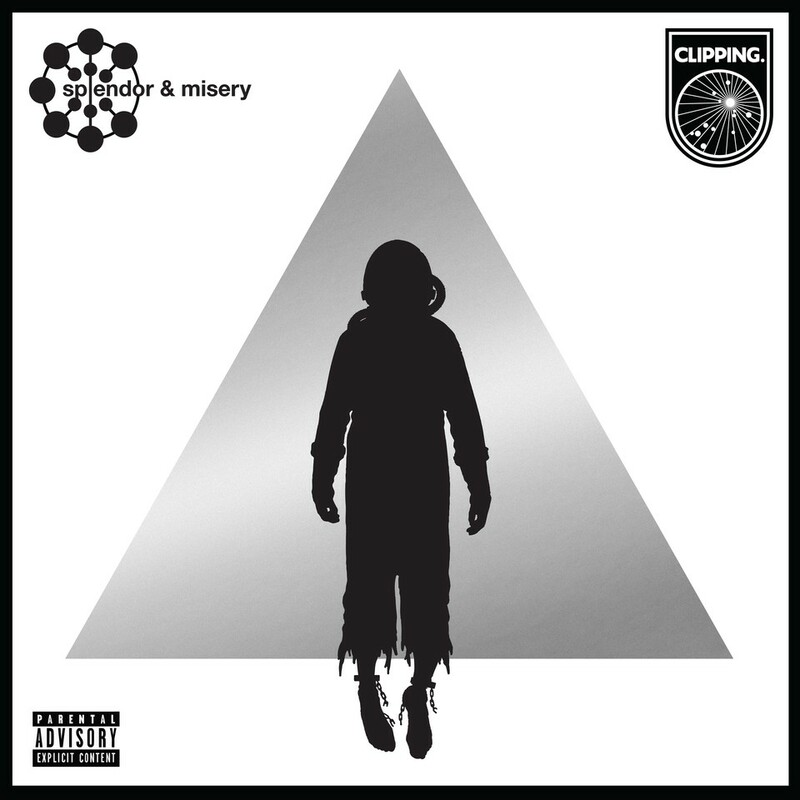 Splendor & Misery via clipping. The album tells a unique story – not just within the context of rap, but within music in general. Splendor & Misery starts with something similar to a traditional slave song, then is separated by static before a quick-yet-calculated voice describes an immediately disturbing scenario. The voice, meant to be the computer of the ship, describes a member of its cargo waking up unnoticed. The ship details means of repressing the rogue cargo but is ignored, allowing for cargo to reach a panel in the floor to override the ships controls. The voice, referring to itself as mothership, issues a warning that Cargo #2331 has commandeered the vessel, and is armed. Cargo #2331 changes the course to the absence of space, upset that he will likely not find a place to land, but complacent with this realization as it came about by his own actions. His loneliness is emphasized by the computer’s unemotional recounting of his actions, most notably how he raps to himself, asks the computer for beats and reads from the Bible. The emptiness of space around him and the computer itself both provide only darkness, further emphasizing his loneliness. The computer begins to take a peculiar obsession with him, admiring his strength and determination to overcome his enslavement. The computer issues a final warning, telling any other ships to turn around as Cargo #2331 is not a threat and that anyone that tries to intercept will be destroyed. During the computer’s message, a strange instrumental backing emerges, comprised of beeping, clicking static and the eerily hypnotic repetition of “all black everything.” This monologue is interrupted by a recording of Cargo #2331’s rapping to the various creaks and beeps the ships makes as it travels through space. Tupac is even referenced in this recording, implying Cargo #2331 is from Earth. The mothership begins speaking about the process of hyper sleep, followed by an embarrassed Cargo #2331 recounting his memories from Earth, knowing the ship cannot relate to or understand his already-fragmented stories. This track, in contrast to the others, is much faster as the instrumentals are alarm sounds. The album then transitions back to a traditional slave song that relates to the dystopian future the protagonist finds himself in. After an intercepted code is played, Cargo #2331 begins to rap once again, with the subject this time being a war raged on Earth. This is then followed by talk of African gods, and the horrors of slavery. Cargo #2331 starts rapping about more traditional motifs, such as directly targeting his adversaries. A freestyle like the first begins, also sounding as if it was recorded by the ship. This one, however, is more personal as the protagonist reflects deeper on slavery and space, as well as the contrast between the beauty and horror of it all. Cargo #2331 then starts to rap in a more unhinged way, speaking more desperately of his loneliness along with a new urge to break the glass, presumably covering the monitors and alarms providing sounds throughout. Following that is a track that ties into the overarching theme of other clipping. albums, before returning to the voice of the ship to criticize Cargo #2331’s rapidly declining mental state from his frequent use of hyper sleep. The final track is over “happy” instrumentals like that of a carnival, even though the track details the ship growing distraught over the eventual death of Cargo #2331. Eventually, the ship does accept and comes to terms with his looming death as the mothership will live on. There is so much to unpack in this album that it becomes difficult in figuring out where to begin. From a musical perspective this album is fantastic, combining futuristic instrumentals with ingenious rapid-fire lyricism that is unparalleled. This is furthered by the incorporation of traditional gospel chants to create a greatly intriguing contrast, yet still provides a link between the music and the rich history of African-Americans. By invoking the past and future, the album successfully highlights many of the race-related problems that we face today and the constant fight to overcome the horrors of the past. The use of the minimalistic instrumentals not only works within the context of the album, but also draws more attention to Daveed Diggs’ lyrical prowess, further proving that he is currently one of the best in the music business. The consistent references to previous works of science fiction show the extensive planning and thought that went into this album. 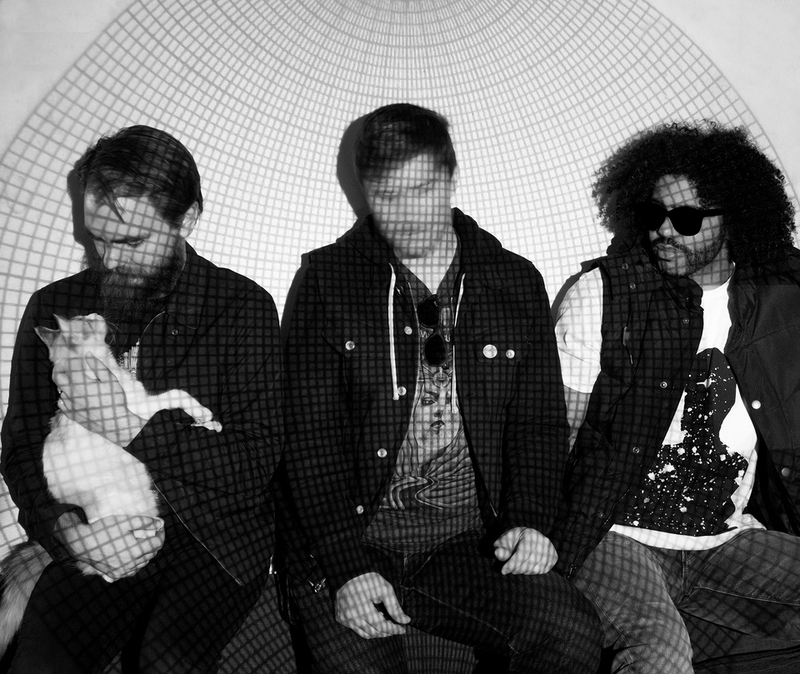 There are numerous ties within the album to clipping.’s previous albums, along with plenty of hidden details throughout for die-hard fans to theorize about. To fully understand, one would just about have to go and read the lyrics for every single song clipping. has ever made. Splendor & Misery is one of the most prolific works of musical art created in the past century, and possibly of all time. If you’re a science fiction fan, LISTEN TO THIS ALBUM. If you’re a rap fan, LISTEN TO THIS ALBUM. If you’re a fan of great storytelling in general, LISTEN TO THIS ALBUM. If you like high quality music, LISTEN TO THIS ALBUM. It is amazing how much is covered and accomplished in just 40 minutes. The only album that can really be compared to this in a sense of greatness is Pink Floyd’s The Wall, which is 40 minutes longer, but of course remains a masterpiece. This, however, feels more like a total experience rather than pieces of music. My one and only complaint is that only a few tracks can standalone with such an intertwined story being present in the album. Of course, when listened in order it provides an even richer experience and is one for the vinyl collection. Thank you clipping. for an amazing album and experience. Happy Black History Month everyone. Don’t be racist because everyone is beautiful and creative. That’s all.